You've invested in a set of outdoor wood furniture, and you want to make sure it lasts for several years. What's the best way to protect your investment from the elements? 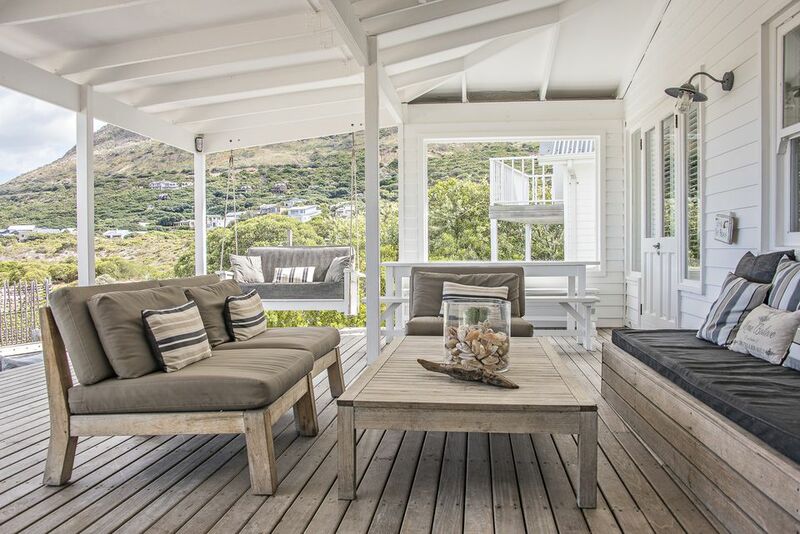 For wood and hardwood garden furniture, it's a combination of keeping it under cover, cleaning it, and conditioning it so that the wood stays healthy and retains its beautiful warmth. Discover what it takes to maintain your wood garden furniture through the years, allowing it to keep its strength and natural beauty. Wood has two classifications: softwood and hardwood. Not surprisingly, softwood is softer and much less expensive than hardwood. It is often painted or treated, and maintenance usually involves keeping it clean and applying a fresh coat of paint or finish each season. Because it has the potential to last long, withstand the elements and resist insects and decay, hardwood can be a smart investment. Left alone, the natural color of hardwood garden furniture—like pieces made from shorea, teak, or ipe—will weather to a soft, silver grey. This process will take 6 to 12 months, depending on the climate in which you live and the amount of exposure to the elements. Those imperfections that are inherent features of the wood will become more pronounced over time, giving the garden furniture a rich, natural beauty. In humid, wet or subtropical climates that experience frequent rain, hardwood furniture may expand and contract—causing the grain to rise. This is a normal part of the weathering process for outdoor wood furniture. The tropical hardwood known as shorea is similar to teak or ipe wood. Its high oil content allows shorea wood furniture to resist water, making it less likely to rot. Like teak, shorea can withstand all types of weather conditions and is resistant to invasive insects. As is typical for hardwoods, shorea weathers to a silvery gray. It also experiences surface roughness for about a year after being exposed outdoors, but the weathering process will eventually stabilize. When you set up a new piece of shorea outdoor furniture, lightly spray it with water to remove any dust. Sometimes, all that is needed is a light seasonal cleaning. To do so, rinse the shorea furniture with a light spray from the hose. Dip a sponge or soft-bristle brush into a mixture of mild detergent and water. Scrub lightly and evenly. Rinse again, with clean water. Allow to dry completely. If you want to return your shorea to its original warm brown color, use a high-quality hardwood or teak oil each season to maintain and preserve its color. Before applying, test the oil on a small, inconspicuous area, rub it in with a soft cloth or paintbrush, allow to dry and see if you like the color and finish. If so, continue to apply oil, distributing it evenly with a cloth or soft-bristle brush. Teak is a popular hardwood that shares many of the same properties as shorea. 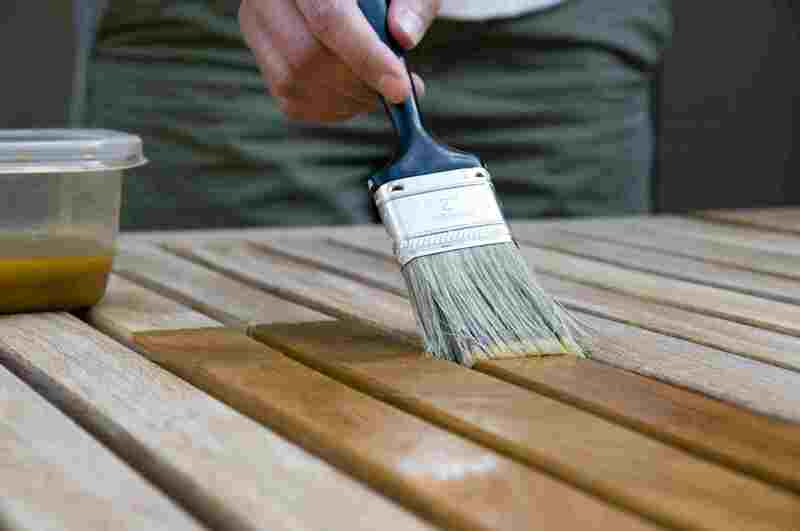 Experts recommend that teak oil be applied routinely to outdoor garden furniture in arid or extremely dry climates. It's also a good idea to apply oil regularly to prevent staining from food or drink spills. Cleaning teak pieces is the same as shorea. First off, ipe is a South American hardwood that sometimes goes by other names, like Brazilian walnut, ironwood, or Pao Lope. Originating from Brazilian forests, ipe is supposedly three times as hard as teak. Ipe shares many of the same weathering characteristics as teak and shorea. Hardwood or teak oil should be applied when the wood starts to look dull—every three months in mild climates; more often in harsher climates. Even on a quarterly-or-more oiling schedule, ipe will turn that familiar silver-gray. Don't forget to clean lightly with fresh water and a mild detergent mixture and allow to dry before each oil application. It may need some light sanding to get rid of stains before applying oil. What If Wood Furniture Needs More Than Cleaning? If you have wood outdoor furniture that has weathered to a grayish color, with cracks and deep grooves from over-weathering, it's obviously in need of more than a good old cleaning. Try sanding and refinishing. If you have a power washer, use it on "light" to knock off the embedded dirt and oil residue. Or, use a hose nozzle with a strong spray to test this technique on a part of the furniture that doesn't show. If this method blasts off the embedded dirt, apply a liquid dish soap and water mixture beforehand to loosen the dirt. After more hose blasting, the dining set should look better. Allow the wet furniture to dry overnight. When it's no longer damp, take an ergonomic light-grade sandpaper tool to it, one section at a time. Follow this step with another quick spray with the hose to remove any sanding dust, and allow to dry overnight. The next day, apply teak oil with a soft cloth, rubbing in the direction of the wood grain. It will work into the wood, getting rid of that weathered look. Regular applications of hardwood oil help maintain its health and beauty.